Attempted agreement The first suggestion for a multilateral agreement on investments came during the Uruguay Round in 1994. It was strongly opposed by Southern countries as it threatened to take away regulatory control over foreign investment. The eu made an unsuccessful attempt to introduce the idea at the 1996 Singapore ministerial of the World Trade Organisation ( wto ). Meanwhile, the Organisation for Economic Cooperation and Development ( oecd ), a 'wealthy club' of 29 countries with over 95 per cent of the world's largest mncs, secretly began negotiations on a multilateral agreement on investments ( mai ) in 1995. The idea was to negotiate an oecd agreement and then get developing countries to agree to it. Dispute resolution: Companies can sue governments directly, rather than going through their home governments as they do now. Reciprocal rights were not granted to governments. 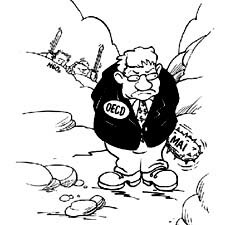 oecd talks broke down after France backed out in 1998, responding to the protests. But the mai threat is not over. Northern countries will bring up the issue in future trade talks. Challenges ahead Those who favour mai say it will increase the flow of fdi s into developing countries. Could countries that refuse to negotiate a investment treaty lose out on investments? The current trend of concentrated investments in regions with high infrastructure is unlikely to change because investment decisions are based on the potential market size, the legal/institutional framework, and the availability of human and natural resources. Many developing countries are at a stage where they have to decide their own specific development, political and social objectives. It would not do for them to fall into the trap of peer pressure and compromise sovereignty by signing a mai. Foreign direct investments (FDIs) are important for multinational corporations (MNCs) to deliver goods and services to foreign markets and gain a competitive edge by organising production internationally. 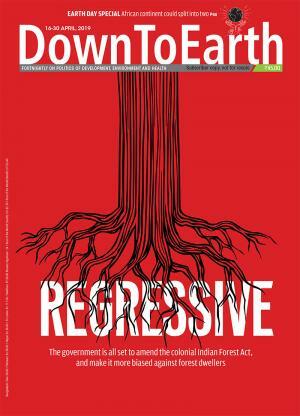 MNCs are constantly on the prowl for relaxation of national laws that hinder investments in developing countries, which represent new markets. So far, these investments are ruled by 1,600-odd bilateral treaties, which protect national interests. For instance, a bilateral investment treaty may lay down specific conditions for technology transfer or local purchase of raw material. But these prove a hindrance to MNCs. In 1995 Japan and the US together raked in more than 65 per cent of the global revenues from FDIs.